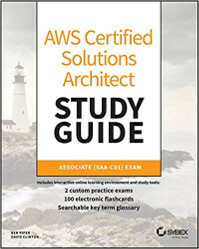 The AWS Certified Solutions Architect Study Guide: Associate (SAA-C01) Exam is your complete and fully updated resource to the AWS Solutions Architect – Associate certification. This invaluable Sybex study guide covers all relevant aspects of the AWS Solutions Architect job role, including mapping multi-tier architectures to AWS services, loose coupling and stateless systems, applying AWS security features, deploying and managing services, designing large scale distributed systems, and many more. Written by two AWS subject-matter experts, this self-study guide and reference provides all the tools and information necessary to master the exam, earn your certification, and gain insights into the job of an AWS Solutions Architect. Efficient and logical presentation of exam objectives allows for flexible study of topics, and powerful learning tools increase comprehension and retention of key exam elements. Practice questions, chapter reviews, and detailed examination of essential concepts fully prepare you for the AWS Solutions Architect – Associate certification. 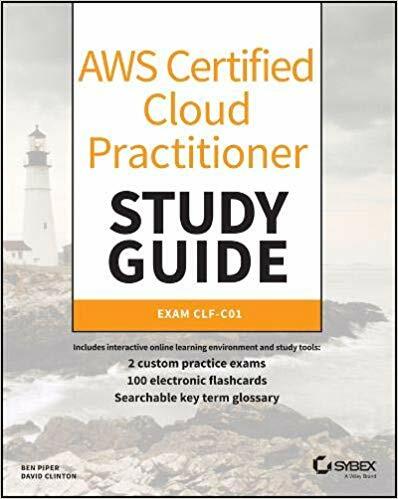 The AWS Certified Solutions Architect certification curriculum answers the question: “How do I manage cloud applications?” By contrast, the AWS Certified Cloud Practitioner exam expects you to understand “Why is specifically this combination or set of cloud tools going to be exactly right for my cloud application?” This new book by Ben Piper and myself is aimed at C-level team members and project managers who might not need to get their hands dirty with the actual administration duties, but who must understand what’s going on to make smart choices. The book will cover you for this relatively new AWS exam. You can pre-order your copy now. Take your Linux administration from zero to highly productive. This book is organized around projects rather than skills. Need to build a virtualized testing environment? A secure web server? A system recovery took kit? Safe document sharing servers? Linux in Action will cover you for all the skills and best-practices, but within the context of serious real-world use-cases. Work your way through the book from start to finish and you’ll have a solid grasp of the core Linux administration tool set…and even a first taste of the enterprise server world. 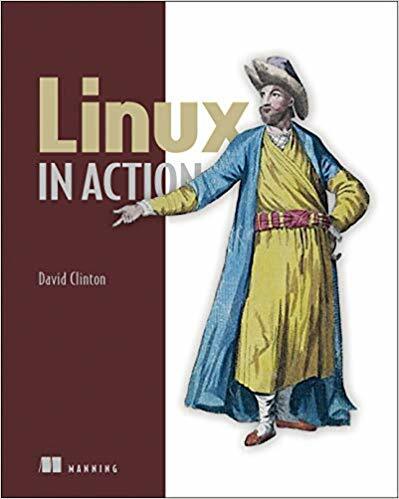 Linux in Action is also available from Manning. Work through the process of building a robust and secure web application using the core AWS services you really need to know. Migrate and manage full stack IT infrastructure on the world’s leading cloud compute provider. Go from zero to fully functional in just 300 pages. 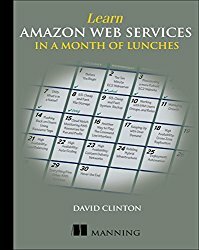 Order Learn Amazon Web Services in a Month of Lunches from Manning.com or from Amazon, or read it on Safari. Which new technologies will impact your career? Which make the most sense to learn? What tools exist to help you with your learning? What’s the best way to go about it? Solving for Technology gives you all the background, methodologies, and tools you’ll need to make smart career and educational choices. 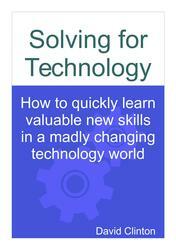 The tips, tricks, and technology introductions in the book are there to help you manage professional change. 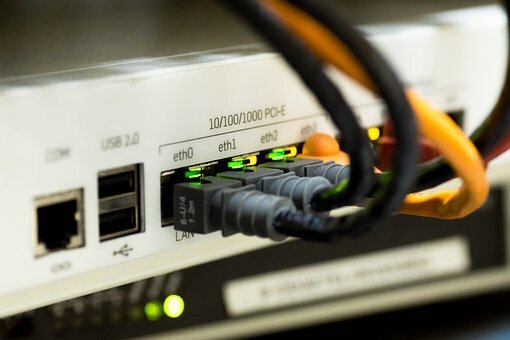 High availability server virtualization currently powers the vast majority of public-facing compute deployments and Linux lies at the heart of nearly all of them. If you aren’t already engaged in a virtualized project that touches some kind of Linux technology, you probably will be soon. What are you doing to build your skills to meet the future? 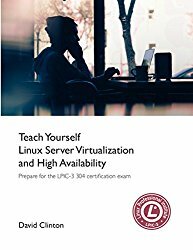 The Linux Professional Institute’s LPIC-3 304 certification expectations are an excellent, vendor neutral introduction to Linux server virtualization and cluster management. Even if you don’t have plans to take the exam and earn the certification itself right now, using the 304 as a curriculum guide is a smart move. And, one way or another, this book is a great primary resource. 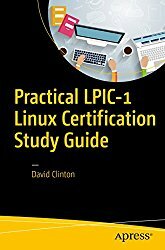 Learn all the basics of Linux administration and prepare for the LPIC-1 certification exams.